Second Life mimics Real Life. There’s no doubt about it. Take grieving, for instance. In RL, it’s the process of feeling distress after a sorrowful loss of someone near to us, pets, employment, possessions or status. I’ve discovered it’s no different for residents of SL. I lost an SL friend last month when she retreated into RL, apparently never to return. This has been a time of sorrow and parting for me. 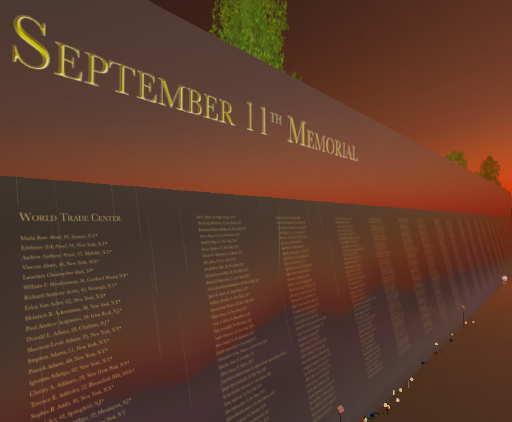 I said here the other day that Second Life empowers people facing a variety of challenges. 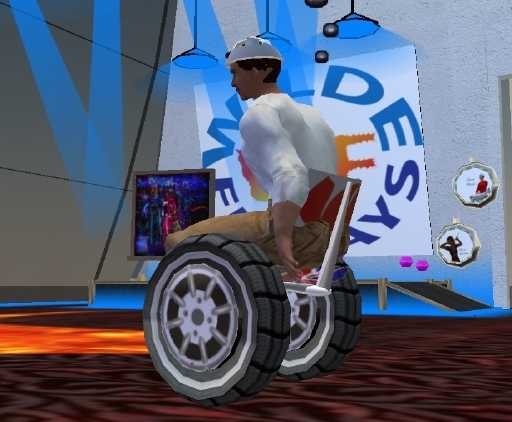 Now Newsweek has discovered Simon Stevens operating his in-world nightclub known as Wheelies. Stevens is Simon Walsh in SL. The magazine’s print article in the July 30, 2007, issue is here. Wheelies owner Simon Walsh dances in his chair. Interestingly, Newsweek produced a video of article reporter Jessica Bennett entering SL and interviewing Stevens at his nightclub. The 33-year-old Stevens has a disability-consulting firm — Enable Enterprises — in England. 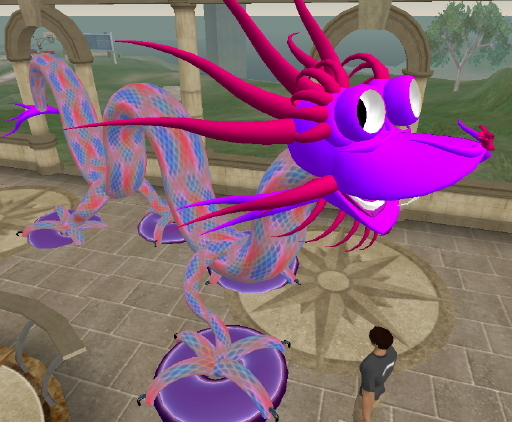 Many residents of virtual worlds say the emotions they feel while in-world are strong. So strong,in fact, that almost a quarter of all women and nearly 10 percent of men have had an online wedding. Ah, the bliss, the joy, the happiness. Bluebirds soaring across azure skies. Tweet, tweet. 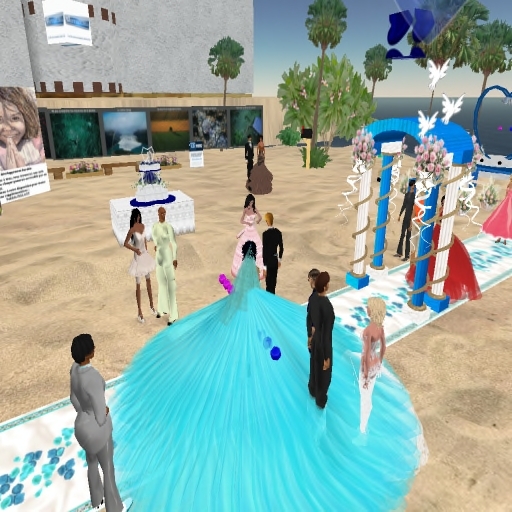 A lovely May wedding in Second Life. Imagine a spectacular night-time fireworks display over the ocean. Showers of multicolor ordinance exploding in the sky and spiraling downward. Few experiences can get your pulse racing and your senses reacting more than a dramatic show of pyrotechnics. In cities and towns across America on July 4, public and private displays of fireworks from backyard parties to major national events were spectacles of excitement in lights and sounds. As I like to say, SL mimics RL. 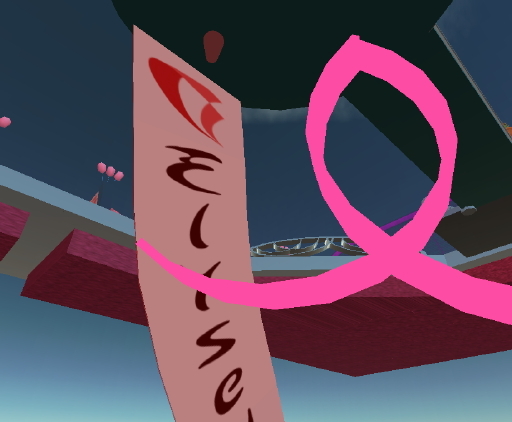 So it was no different for Savannah Stein as she stood out on a beach in Second Life on July 4, awestruck under a huge splash of colors chasing one another across the sky above the Hillary Clinton 2008 SL Campaign headquarters.